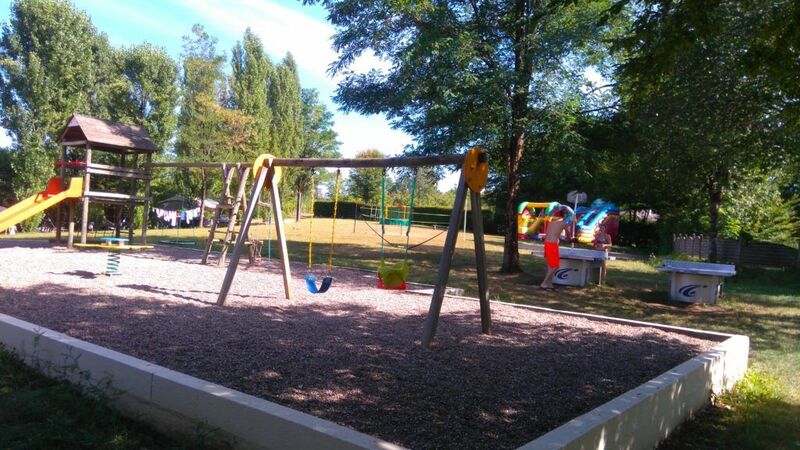 It is in the small town of La Chapelle-Aubareil that our 4-star campsite in the Dordogne welcomes you. 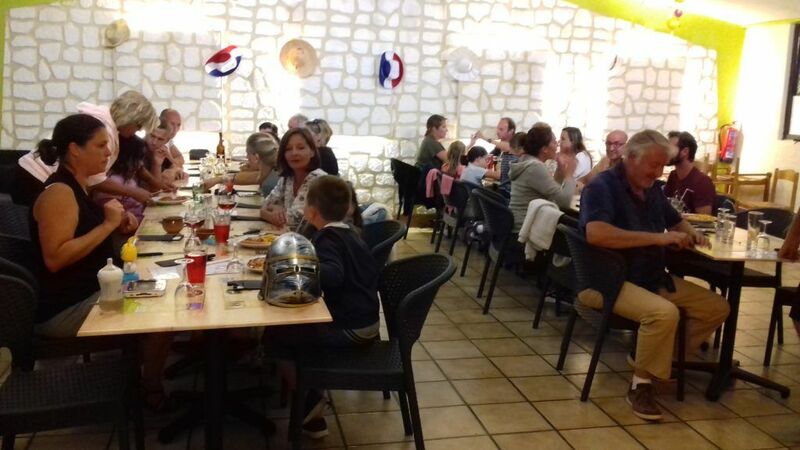 During your holidays, you will enjoy an exceptional geographical location to discover the region, as our campsite is in the middle of Sarlat-la-Canéda, Montignac and Les Eyzies de Tayac, the golden triangle of the Périgord Noir. If you like historical and mysterious places, the caves of Lascaux or the castles of Beynac and Castelnaud la Chapelle should please you! But these are not the only things to see in the Dordogne, quite the contrary! We are here in the heart of nature and outdoor activities such as hiking, canoeing and fishing are at the doorstep of the campsite. Since its creation, our campsite has been a family holiday destination where life is good. Whether you come with friends, as a couple or with your children, you will be warmly welcomed at the reception! 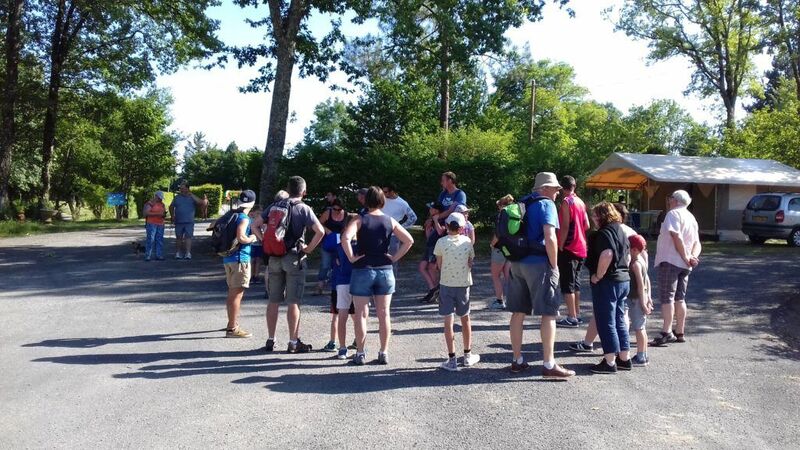 Our team will present you the activities of our 4-star campsite in the Dordogne and will guide you to organise the best possible planning of your holidays and visits. We have extensive documentation on the remarkable sites to visit nearby. For your comfort, the establishment has a grocery store and a bar. Every evening, the restaurant welcomes you in a relaxed atmosphere to discover some of the many gastronomic specialities of the Périgord. So if you don’t want to take your car out, it’s not a problem, you won’t be bored here! For your meals, you have the choice between our restaurant and our snack bar. Come and have a drink at the bar and participate in the activities organized by our team! If you need an Internet connection, we are equipped with a wifi network covering a large part of the domain. Near the toilets, you will find a washing machine and a tumble dryer. The tokens can be purchased at the reception desk. 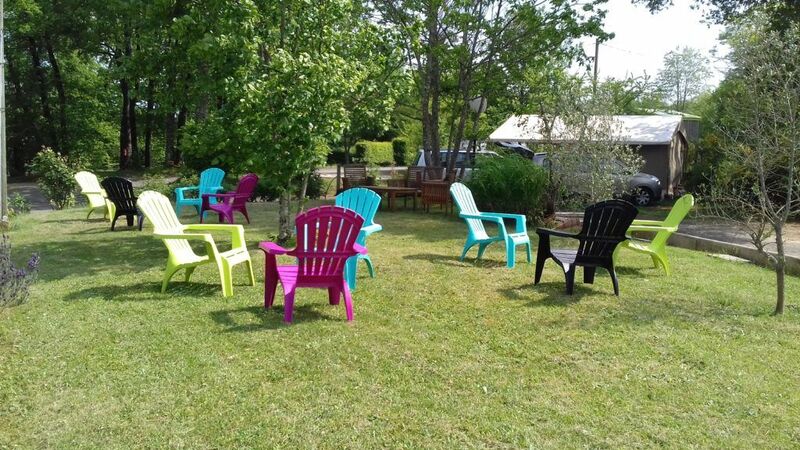 The campsite also offers a reading and television room accessible all day long, a book or board game lending service, and a terrace area with chairs of all colours located just above the outside of the restaurant. In front of the bar, you can relax in front of a glass or ice cream, with friends or family! 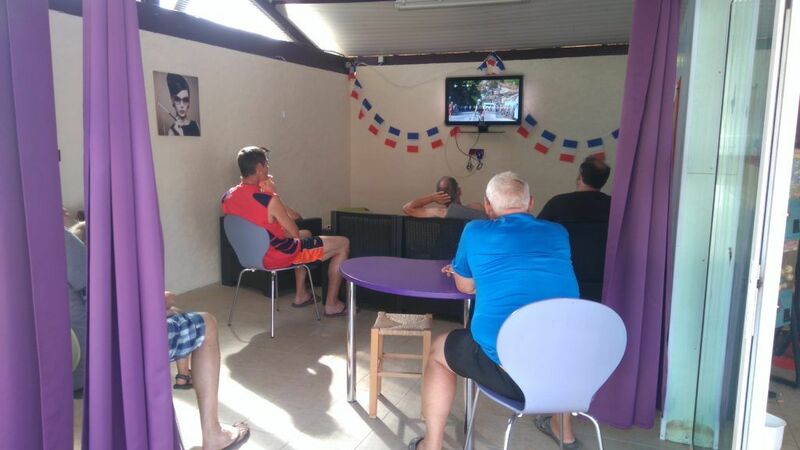 Finally, to ensure total relaxation, our 4-star campsite in the Dordogne is in partnership with professional masseuses who work several times a week at your holiday destination. 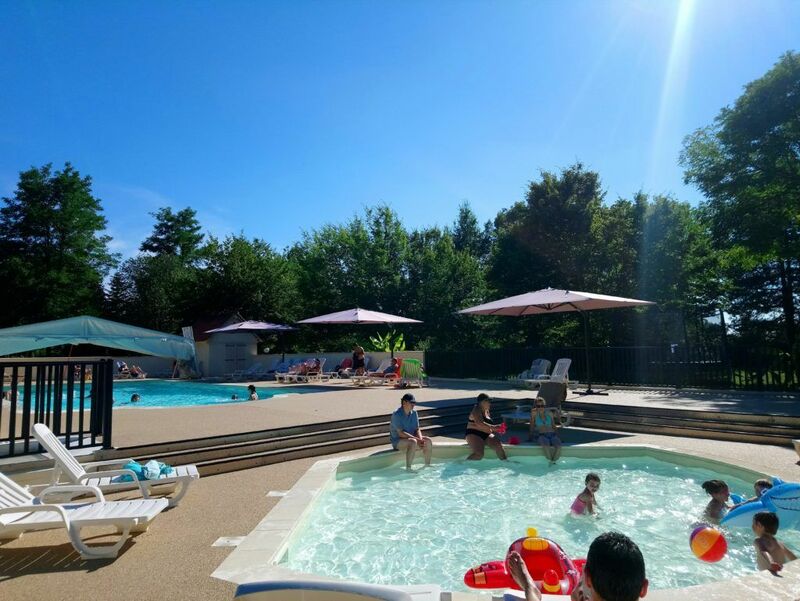 If you are interested in the services of our 4-star campsite in Périgord, discover our range of rental properties and the sites available for rent! And to get even more information about our services, we invite you to contact us directly! A 4-star holiday means quality infrastructure and activities! 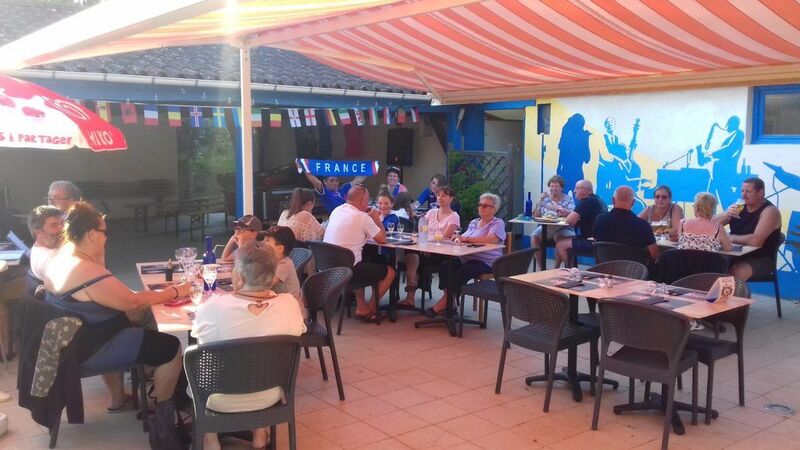 To give you a taste of your stay at Camping La Fage, we will quickly introduce you to some of the facilities. First of all, there is our aquatic area, the star of your holiday! Equipped with a large heated outdoor swimming pool (from May 15 to September 15, depending on weather conditions) and covered with a mobile shelter, and a small pool for children, it will delight the whole family! To sunbathe, read, relax in the sun or take a nap, we have set up large beaches with deckchairs. Then we also thought of children and teenagers by setting up a playground. The latter is located outside, near the aquatic space. Here, they have the choice between two inflatable castles for the youngest, football cages, a badminton, basketball, petanque and ping-pong court (beware, no loan of rackets and balls, remember to take yours!). 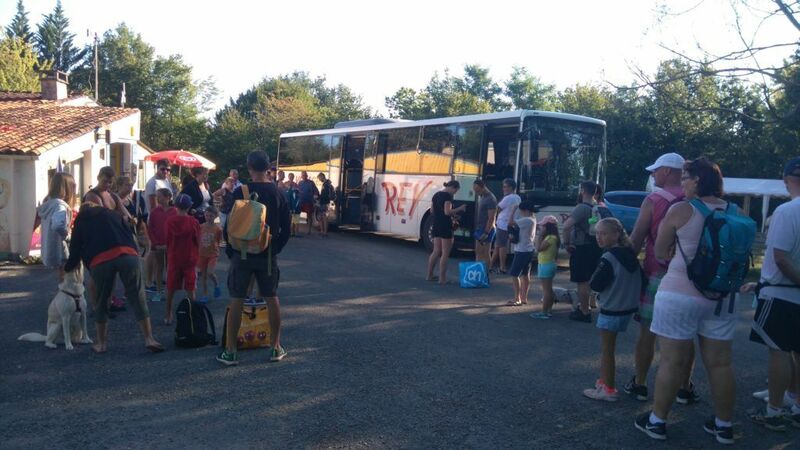 With the various trampolines also present in the campsite, your holidays in the Périgord will be full of surprises! It should be noted that a covered games room is also available in free access near the bar with a table football, pinball machine and pool table, and that pedal go-karts can also be rented! 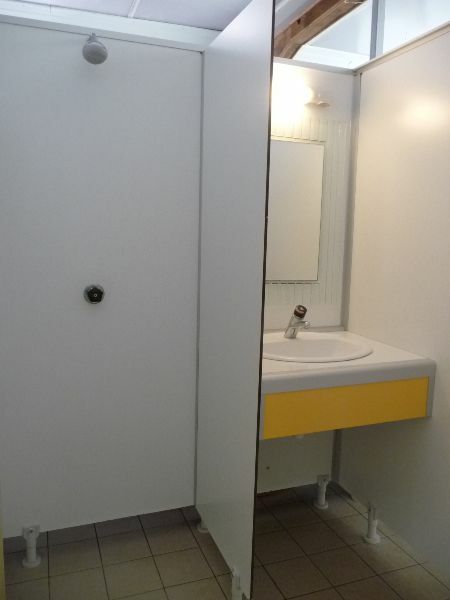 To ensure that your stay takes place in excellent conditions, we offer pleasant heated sanitary before and after season accessible to all persons installed on a bare site. Spacious and bright, they are at your disposal and will contribute to the smooth running of your stay. The team of the camp-site puts in parallel all in work so that these toilets are as clean as possible. Whether you are in a tent, caravan or camper, you can enjoy our spacious cabins with shower and washbasin. For families with babies or toddlers, you will also find a space exclusively designed for the little ones with bath, changing table and shelf for the changing bag, but also a small toilet to help learning the cleanliness of your child.We finally specify that our toilets are accessible to people with reduced mobility with a cabin that is exclusively reserved for them and which is obviously heated.All we wish you a pleasant holiday on our campsite!